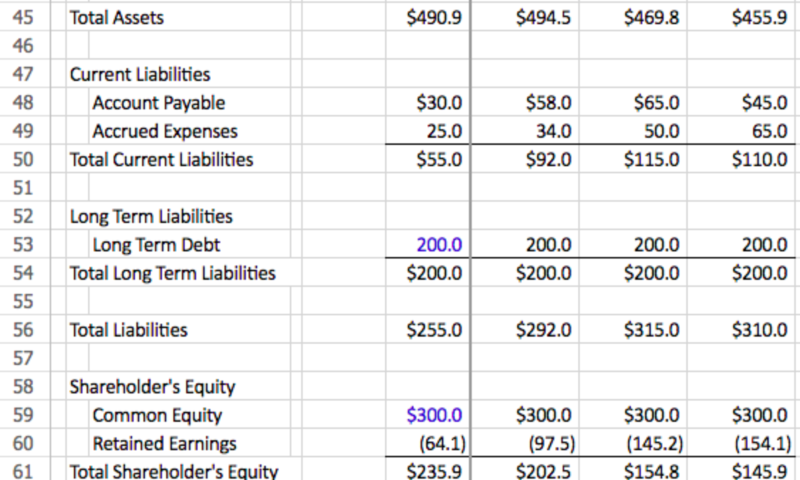 Income statement also know as a profit and loss statement is the main financial statement. It covers revenues and expenses for the company. Operating Income is also known as EDITDA. EBITDA is a very common term used when talking about a company especially for valuation. EBITDA is a good proxy for overall health of the company without knowing the full details because it looks at the operating functions of the company and ignores the capital structure of the company. For sake of simplicity, I’ve ignore dividends and stock expense and other usually immaterial line items. This is just the basics, we’ll dive into more detail in later posts. Check out our sample profit and loss statement below. It is fully downloadable in Microsoft Excel.